How King Tut died has been a subject of debate since his tomb was discovered almost a century ago. British archaeologist Dr. Howard Carter's 1922 discovery of King Tutankhamun's unopened tomb, with its treasure trove of jewel-encrusted gold funerary objects, thrust the relatively minor Egyptian pharaoh into the spotlight. Millions of people in the United States and Great Britain waited in line to see these ancient artifacts, including a 24.2-pound solid gold death mask studded with lapis lazuli, when they toured museums in the 1970s. 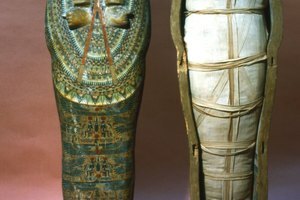 More than 3,300 years after Tut died, however, scientists are still trying to shed light on the mystery of his demise. Each claim that the enigma has been solved is followed a few years later by an alternative theory. The last ruler of the 18th dynasty, King Tutankhamun ascended the throne at the age of just 10. When he met his end nine years later, in 1323 B.C., his body was affixed to his coffin by resins during the embalming process. In 1968, four decades after Dr. Carter and his fellow archaeologists dismembered the mummy as they removed it from the sarcophagus, scientists x-rayed the remains and found bone fragments in his skull, prompting the theory that he was bludgeoned to death by his political enemies. Murder, however, was dismissed as a fanciful notion by another group of scientists in 2005. The team from Kasr El-Aini Teaching Hospital at Cairo University performed a CT scan on the mummy, and concluded that the most likely cause of death was a severe thigh fracture, leaving an open wound that became infected. The scan showed two bone fragments in Tut's cranial cavity, which matched missing pieces from his first vertebra. As they were loose, and not covered in embalming fluid, the scientists decided the damage must have occurred during burial and the bones were dislodged when Dr. Carter and his team removed the body. 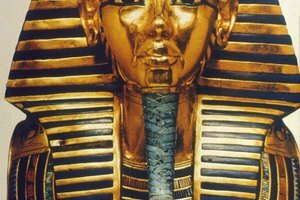 Five years later, yet another hypothesis emerged when Egyptian and international scientists working with Dr. Zahi Hawass, minister of antiquities, on the Family of Tutankhamun Project used new techniques in DNA analysis. They discovered the parasite that causes malaria in the young king's body. 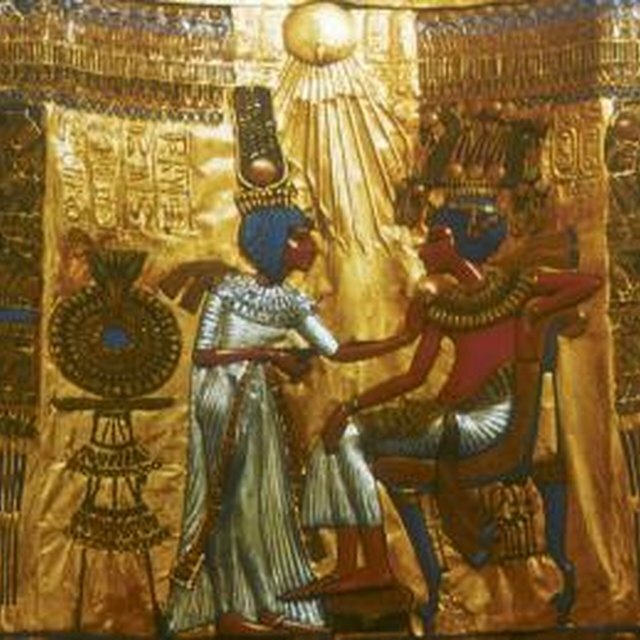 They concluded that, weakened by the disease, Tut may have been in such a fragile state that he fell and broke his leg. He died of complications caused by malaria, they reported. 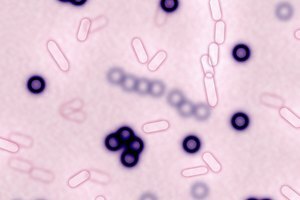 It would not be long before another theory was proposed, this time by British surgeon Hutan Ashrafian. He suggested the Egyptian pharaoh was killed by epilepsy after examination of historic inscriptions. Ashrafian, of the Imperial College London, looked into the deaths of Tut's relatives and how each appeared to have died at a younger age than his predecessor, suggesting an inherited disorder. He also noted that several of the pharaohs reported having religious visions, and explained that sufferers of temporal lobe epilepsy who are exposed to sunlight stimulation have experiences similar to visions. A seizure, the surgeon added, could have caused the fatal fall. 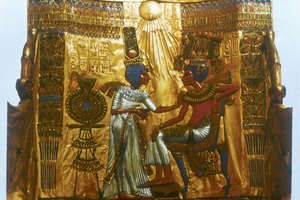 The mystery of King Tutankhamun may never be solved, but theories continue to abound. The latest at the time of publication, in 2013, came from British Egyptologist Dr. Chris Naunton at the Cranfield Institute, who performed a "virtual autopsy" of the Boy King. He reported that it revealed a pattern of injuries down one side of his body, which matched up with computer simulations of a chariot crash. Naunton also examined some of Tut's remnants under an electron microscope. This revealed that a botched mummification process had led to the body spontaneously combusting after burial, creating an even greater barrier to ever solving the mystery of King Tut's death. 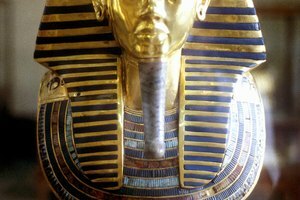 Time: Did King Tutankhamen Die from Epilepsy? Harrison, Theresa. "How Did Tut Die?" 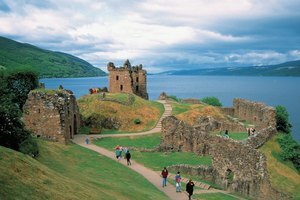 Synonym, https://classroom.synonym.com/did-tut-die-11159.html. Accessed 18 April 2019.